I’ve always appreciated my natural nails. I’ve kept them relatively healthy through weekly manicures and enjoyed jazzing them up with a quick coat of polish when I felt like a change. Still, nothing could be worse than getting ready for a hot date and watching my newly painted nails start to flake. In these moments, I dreamt of shiny, strong – unchippable – nails that could keep up with my lifestyle as a 30 something year woman living in New York. The answer? Faking it. Artificial nail enhancements have come a long way, from the thin acrylic nails, to the more modern gels. Both have strengths and both have weaknesses. I’ll be weighing in to see how they’re different, and at the end of the article I’ll show you my little secret: How you can combine the two types to get the best of both worlds. Acrylic nails often get a lot of bad press. But if they’re applied properly with good quality products, they will make your nails look strong, healthy and the height of sophistication. One of the main things to bear in mind that acrylic nails should look natural rather than fake (unless you’re going super glam!). Next, it’s a common belief that acrylics can harm your nails. This isn’t true, as long as you remove them with care. So what do the best acrylic nails look like? If you’re looking for something easy and affordable, I swear by these Clear Full Cover Artifical Nails by ECBASKET. What’s so great about them is that these clear nails will give you a blank slate. You can paint them and decorate them with any nail art you wish. The quality is superb, and they’re the perfect length and thickness. All you need to add is good quality glue. These nails will look ultra stylish and last you for a long time. (1) Hard Gel – Becomes hardened enough to form a nail extension- also known as buff-off nails, where the nail must be sanded down and can’t be soaked off. 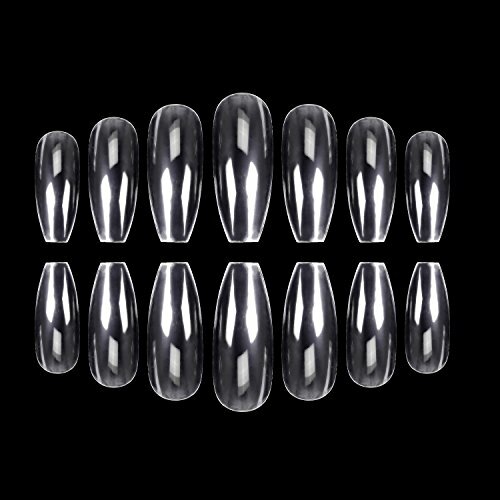 (2) Soft Gel – Requires another gel polish as an overcoat, serving as a re-enforced layer. Soft gel will be cured faster under a UV lamp and doesn’t require mixing with powder. Soft gel nails can be expected to last at least a couple of weeks, hard gel nails even longer. They key to long-lasting gel nails is using an effective UV lamp. 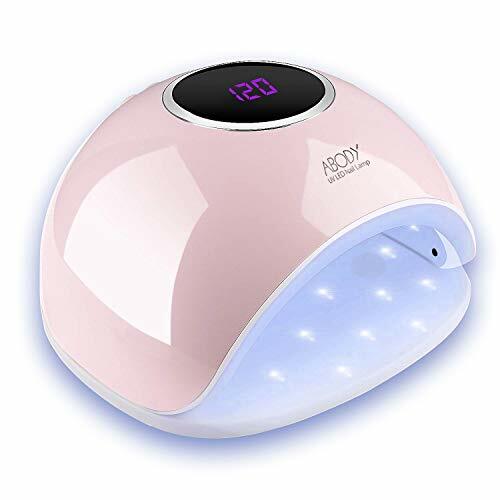 There are many good ones to choose from but my go-to choice is this chic Abody nail dryer. All nails actually derive from acrylics, with gels being no exception. The difference is, gels are a member of an acrylic family which has a different configuration of methacrylate and acrylates (used as gel) which forms polymers (binding acting molecules-glue type). Different types of acrylic nails are mixed along with powders to form a strong adhesive bond. Gel nails are self-reliant, with no need for any powder polymers to mix in with them. The other key difference is that acrylic nails set as you work with them, while gel nails will only harden under a UV light. Acrylics are harder than gels, yet, perhaps counter-intuitively, less durable. If applied correctly, acrylics can be very robust. The right amount of pressure could break or chip a piece of nail away. Gels are typically far more flexible, being able to withstand significantly more force than acrylics. UV applications work great with gel nails, curing them into a tight, adhesive bond. One of my go-to products is the Gellen UV Gel Nail Polish Manicure Set. The pretty pink and champagne colors are irresistible. This set would make a great gift for any girl who loves to do her nails. The set will come with 6 x beautiful gel inspired polishes. Gellen recommend applying up to 3 x coats to achieve the best results. Gel does generally cost more than do acrylics, usually around 15-20% more. However, they require less maintenance — you can go about 3 weeks before needing work done on your gel-based nails. That’s a 50% increase in durability for a 15-20% increase in cost – a great trade off. 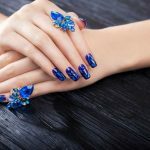 Personally, I prefer the long-term benefits of gel nails, however, if nails aren’t all that important to you, you may find yourself drawn towards the cheaper cost of acrylics. Whichever product you choose, it’s imperative that you care for your nails and hands. It’s easy to make it a part of your daily routine. My secret is using natural essential oils to nourish and strengthen nails and cuticles. 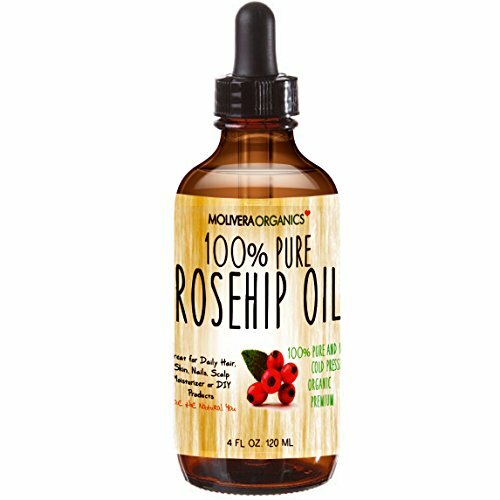 One of the best products you can buy is 100% Pure Organic Rosehip Seed Oil. This is a true miracle product. And I don’t make those claims lightly! Not only is it the best thing for your nail health, but it works wonders for your skin and hair too. It can even reduce the appearance of scars and tone your skin. Also, it has a lush fragrance, so every time you put it on your skin you will be indulging yourself. 100% natural and organic, this a must have for your beauty and your well-being. Acrylic nails can cause mild infections if not applied properly, leading to damage of the natural nail bed. Filing away too much cuticle is a no-no, as cuticle is what protects your nail bed from infection-causing bacteria. Try not to file away the hardened paste. Some experts advise leaving a very thin layer of acrylics, which acts as a barrier, in order to prevent this! Acrylics have a fairly easy removal process. They can be soaked off by acetone in about 15-20 minutes, or they can be filed down. Like Acrylics, soft gel nails can also be soaked off easily. The always-reliable acetone can be used for this. Hard gel nails require the filing down of the extension; acetone won’t be strong enough to remove them. Gel nails can take a thin layer from the natural nail bed as well due to the acetone not being completely removed. Gel nails are not recommended for people with brittle, fragile nails. Choosing between gels and acrylics all depends on the work you do. Do you use your hands a lot? Do you have brittle, thin nails? If so, your best bet is gel nails. Gel nails will be more equipped to withstand your active life! The strength of acrylic nails is their slightly cheaper price. If nails aren’t that important to you, and you’re only looking for a short-term manicure, you might prefer their cheaper price over gel nails’ longer lifespan. If you’re still uncertain, try asking a nail technician at your local salon for their professional advice. Most should be more than happy to give it free of charge, as a show of goodwill towards their client.